Yesterday I made Madeline happy with the Missoni from Target so I thought I would continue the good cheer and make her favorite pumpkin chocolate chip muffins. Just to be sure I did not disappoint, I used the same recipe I used when we lived in Connecticut. It's from the New Canaan Elementary Schools cookbook. I love the smell of the house when something is baking in the oven. Cream together the butter and sugar. Add eggs and beat well. Mix in pumpkin. In a separate bowl, combine the dry ingredients and gradually add to the pumpkin mixture and mix well. Stir in chocolate chips. Bake for 18-20 minutes, depending on size of muffin tins. I am seeing a lot of pumpkin at the moment and am loving it! 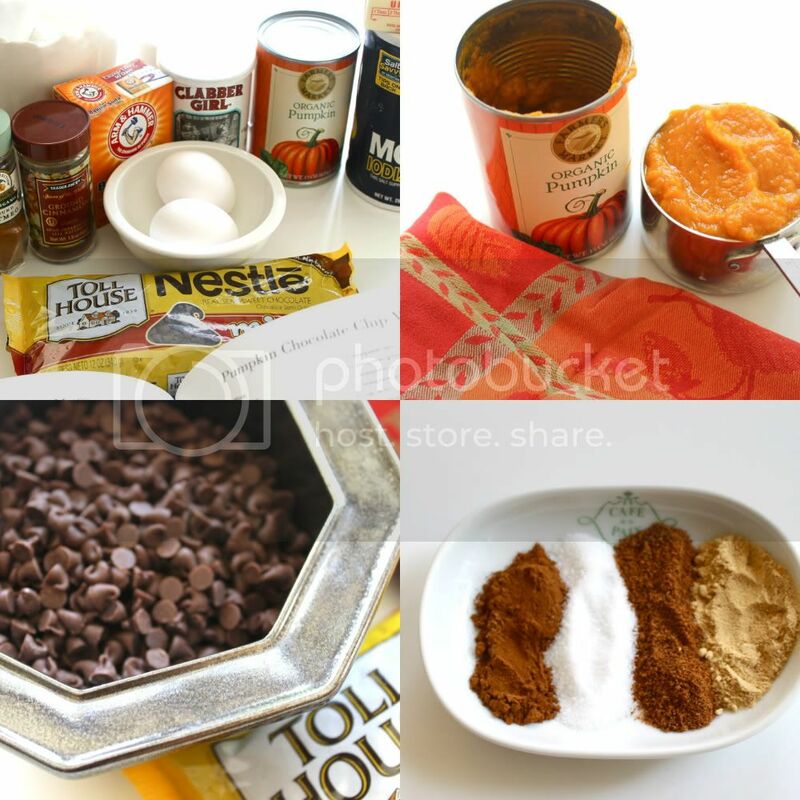 love chocolate & pumpkin combination, will go on my must make recipe list! Those look delicious. My Tori would love them. your photographs are so great!! so inspiring. I used to always bake something before my inlaws visited to let them know I was being a good wife to their boy:)that wore off. These look so good! I love pumpkin and treated myself to my first pumpkin latte of the season yesterday. Yum! Now I need some of these muffins to go with it! Looks fab!!! did I tell you that I was in RJ Imports and showed the lady your post? She loved it! I love the smell of pumpkin the taste is even better. You know, I've never tasted pumpkin, it's very hard to find here but these look amazing. How funny, we're on the same page a continent apart. Can you send me the recipe, I'd love to try it. I've often thought of making my bread in muffin form, but at our house the bread is such a favorite I don't think anyone would let me fool with it. Never again with the whole pumpkin...from now on it's cans all the way! You're such a nice mom! Madeline must have felt great over yesterday's treats! Those muffins look delicious. What an interesting combo...it sounds delicious! Love to give these a try...thank you! btw- Your images are wonderful! Love the little spice dish. Your blog is like a virtual Martha Stewart magazine! I love your style. Feel free to share that yummy recipe , my kids would deem me mom of the year if I made those this fall:) thank you!